Some local veterans and concealed carry instructors have safety concerns over a new law allowing veterans and military service members to obtain a concealed carry permit without required training. Senate Bill 81 will become law without a signature from Gov. Kasich, allowing veterans to get their CCW permit without paying more than $100 in fees and the usually required eight hours of classes. Cleveland's Concealed Carry Courses owner Kim Rodecker is pleased the State of Ohio will waive the fees for veterans, but he believes veterans should still be required to have some training since not all of them have experience with handguns. "I've trained a lot of veterans since I've been teaching CCW classes. They're all good people, but some of them honestly just don't know anything about handguns," Rodecker said. "They should get some kind of training before they carry it out in the streets or something bad could go wrong." 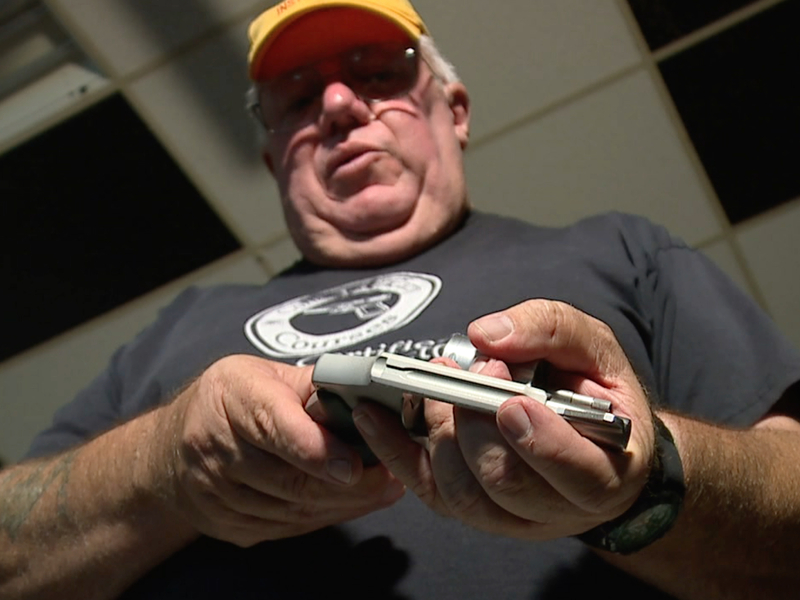 Bill Overton, who is the service officer for Strongsville's VFW Post 3345, said he believes some veterans don't have an understanding of current state law when it comes to concealed carry do's and don'ts. Overton said veterans should at least be required to read a pamphlet and take a small quiz on Ohio CCW law. "Most of these veterans know more than the instructors know, but the veterans don't know the state laws," Overton said. "They don't know how to surrender their weapon, they don't know the laws of how to talk to the police." Meanwhile, Rodecker is hoping some veterans will voluntarily take a CCW safety course and believes state lawmakers should have better consulted with veterans and CCW instructors before approving the bill in its current form. "Some of these veterans haven't handled a gun in many years," Rodecker said. "If they go out on that street never knowing anything about gun laws, what they can and can not do, and if they've never fired a handgun before and they just go out onto the street, that could become an issue, veteran or not."